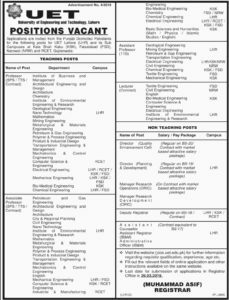 Applications are invited from the Punjab domiciled Pakistanis for following posts for UET Lahore jobs 2018 and its sub campuses at Kala Shah Kaku, Narowal, Faisalabad, Gujranwala & RCET Rachna. 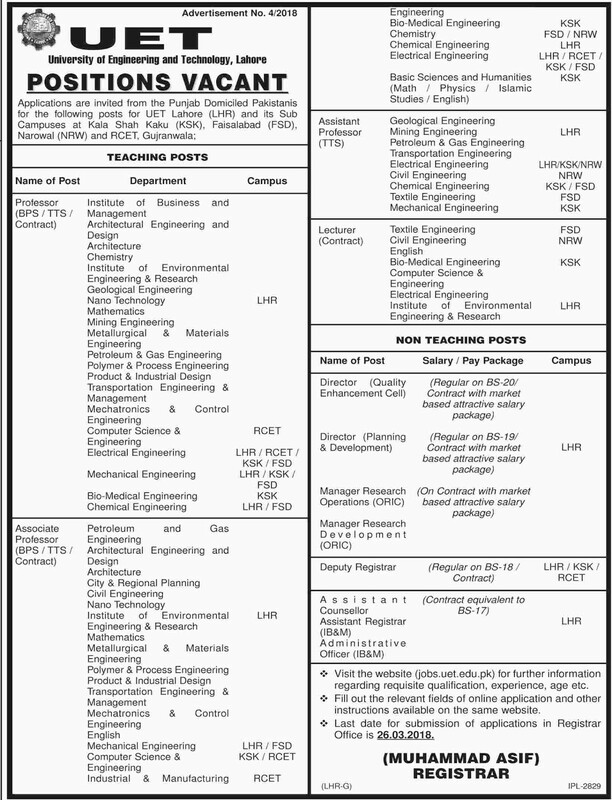 Visit the website (jobs.uet.edu.pk) for further information regarding qualification, experience, age etc. Fill out the relevant field of online application and other instructions available on the same website.